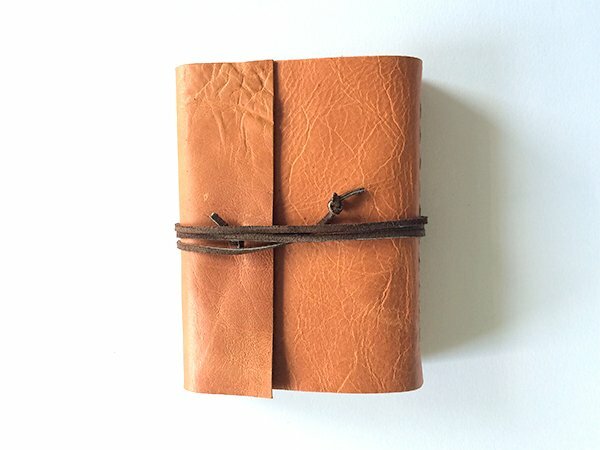 I have another book from my 50 Book Challenge to share today – it’s a leather journal with a cross stitched spine. I think this is one of my favorites so far. 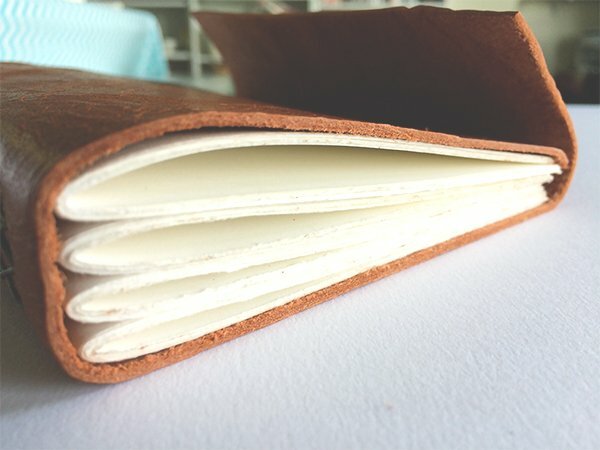 I’m really loving making leather books with decorative stitching on the spine. 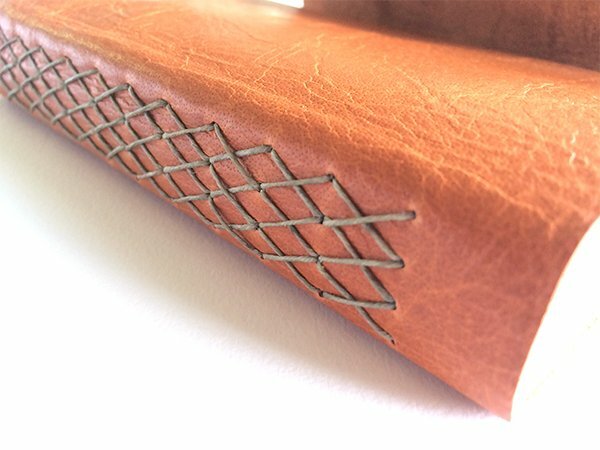 The binding was inspired by the 3 signature bindings in Keith Smith’s amazing book, Non-Adhesive Binding, Volume II, however, as you’ll see below my book is a 4 signature binding with four rows of holes. The stitching on that spine is delicious! It’s beautiful! What are the book’s dimensions? 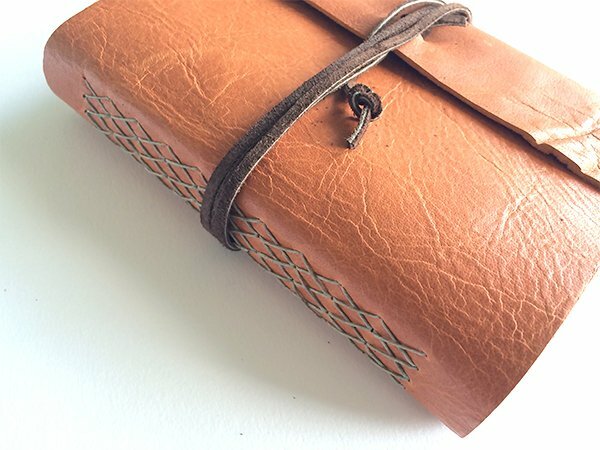 I arrived at bookbinding through leatherworking so this binding is on my todo list. It’s really beautiful.